BitDefender Antivirus activate aur Install kaise kare? Kare Kaise - Computer ki Puri jankari ! : BitDefender Antivirus activate aur Install kaise kare? 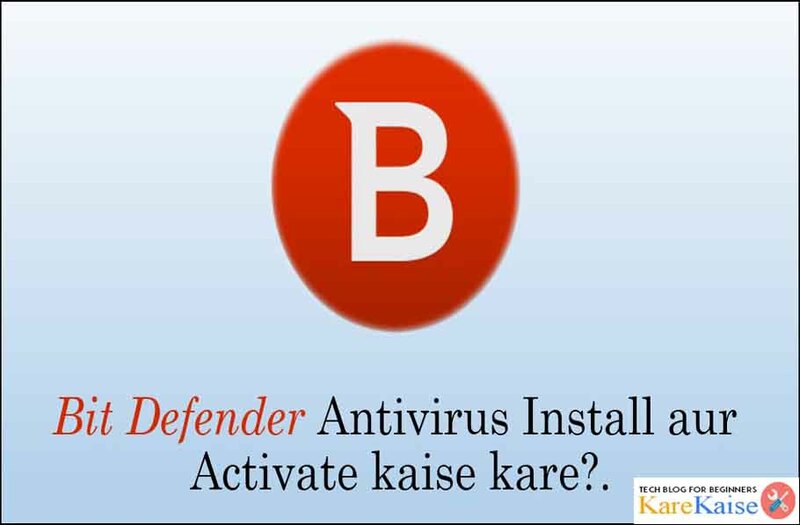 BitDefender Antivirus activate aur Install kaise kare? 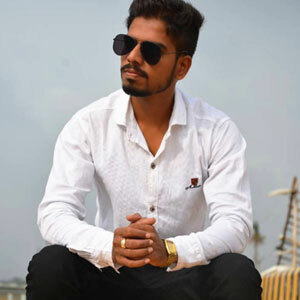 Hi friends, aaj hum aapko computer me BitDefender antivirus install kaise karte hai aur Bitdefender install karne ke badd me Bitdefender ko activate kaise kare sikhayenge. BitDefender ek Best antivirus hai jo hamare computer aur laptop ko security deta hai aur computer ko safe rakhta hai. BitDefender Antivirus ki performance acchi hone ke sath hi yeh antivirus computer ko virus ke infection se bachane me bhi better antivirus software hai. BitDefender Antivirus work ke hisab se market me 2 alag-alag edition me available hai jise aap apne upyog ke ansuar chun sakte hai agar aap es antivirus software ko sirf ghar ke computer/laptop me install karna chahte hai to BitDefender with Parental Control ko use kar sakte hai. Aur agar aap es antivirus ko office work ke liye use me lena chahte hai to BitDefender Internet Security ka edition select kare jo ki aapko antivirus ke sath hi firewall, safe banking, Privacy Protection, Parental Control ko bhi support karega. Jisse aapke computer ki performance acchi bani rahegi aur computer bhi virus and hackers ke attack se bacha rahega. Aap chahe to BitDefender antivirus ka 30 Days ka trial version bhi use kar sakte hai par agar aap iske saare feature ko use karna chahte hai to aapko 30 dino ke baad bidefender ko activate karna hoga. aap chahe to ise hamari di gayi link se download kar sakte hai. Computer me windows kaise install kare? Dosto BitDefender computer/laptop me install karna bahut hi aasan hai ise karne ke liye sabse pahle aapko computer me BitDefender ka setup download karna hoga jise aap upar di gayi hamari link se download kar sakte hai. BitDefender Download and BitDefender Install kaise kare? Step1: Bit Defender online setup downloader ko download kare aur setup download kare. Setup download ho jane ke bad setup par Right click karke Run as Administrator kare. Step2: Ab Bitdefender antivirus ki Policy ko accept kar next kare. Step3: Bit Defender installation process start ho chuki hai ab aapko process 100% complete hone tak ka intjar karna hai, process puri hone ke baad Bitdefender is successfully installed show hoga tab Start using Bit Defender par click kare. BitDefender ko activate karne ke liye aapke pas Bitdefender antivirus ki Product key ya Serial no/ license code hona chahiye jisse aap ise activate kar payenge agar aapke pas Bit Defender ke Serial number nahi hai to ise market se kharid sakte hai and activate kar sakte hai aur agar aap chahte to ise Online Bit Defender ki site se buy bhi kar sakte hai iske liye aapko Bit Defender par Sign in karna hoga. Bit Defender activate karne Bit Defender window open kare aur left days ya bache hue dino ko show karega oos link par click kare jisse Registration ki window open ho jayegi isme Product key dale aur Register now kare Registration pura hone tak wait kare. Registration complete hone ke baad aapka antivirus activate ho chuka hai ab bit defender ki window me Left days me aapko bache hue 365 din show karega agar aapne ise 1 year ke liye activate kiya hai tab, agar jyada din ke liye activate kiya hai to jyada din show karega.